Serra operates as a multi-channel retailer with flagship stores that showcase the unique design alongside wholesale channel products that support this lifestyle-driven brand. Customers enter a living, breathing space, evoking lushness and sophistication; an atrium and retail space intertwined to create an experience like no other. Our expert docents (budtenders) provide a welcoming shopping experience with detailed knowledge to our selection of flower, edibles, topicals, concentrates and lifestyle accessories. A curated selection of high-design, high-quality and high-value smoking accessories that enable our in-store and ecommerce customers to bring home the Serra lifestyle. 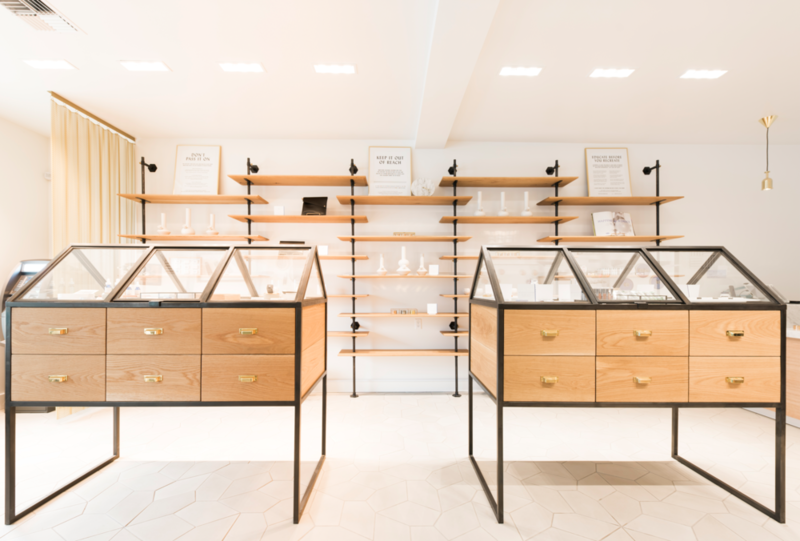 "...SERRA IS THE MOST SOPHISTICATED CANNABIS DISPENSARY IN THE CITY, IF NOT THE COUNTRY… SERRA DISTINGUISHES ITSELF FROM THE 200+ MEDICAL AND 'RECREATIONAL' RETAILERS IN THIS MAKERS’ MECCA BY TAKING A DECIDEDLY ARTISTIC, RATHER THAN ARTISANAL, DIRECTION.."